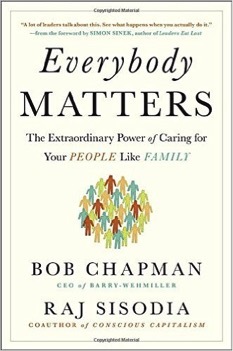 Creating a culture that is People Centric is not easy, but we can assure you it is worth it. In the world of finance one key measurement is called ROI, Return on Investment. The return on your investment in your team members will pay dividends for many years to come. If you or your company would like to engage with the folks who have influenced this project, please start by contact, reading or watching the resources we have provided below. If you are interested in learning more about the BW Leadership Institute, there are several ways to start the conversation with them. Our first stop would be to connect with Susan Conrad. Susan firmly believes consistent performance and ongoing value creation begin with people-centric leadership, particularly in today’s knowledge economy. She has successfully applied this approach throughout her career, from professional services, finance, real estate and community-based organizations. Corporate and non-profit leaders alike turn to Susan to navigate change, improve performance and develop future leaders. Susan draws upon 30 years of experience in visioning, strategy implementation, operations, succession planning, culture transformation, acquisitions and corporate finance. Susan earned her BSBA-Finance from the University of Missouri-Columbia, MBA from Washington University’s Olin School of Business and SPHR designation from the HR Certification Institute. 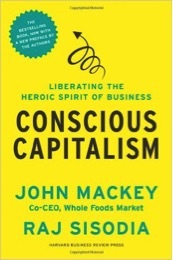 Conscious Capitalism is a way of thinking about capitalism and business that better reflects where we are in the human journey, the state of our world today, and the innate potential of business to make a positive impact on the world. Conscious businesses are galvanized by higher purposes that serve, align, and integrate the interests of all their major stakeholders. Their higher state of consciousness makes visible to them the interdependencies that exist across all stakeholders, allowing them to discover and harvest synergies from situations that otherwise seem replete with trade-offs. They have conscious leaders who are driven by service to the company’s purpose, all the people the business touches and the planet we all share together. Conscious businesses have trusting, authentic, innovative and caring cultures that make working there a source of both personal growth and professional fulfillment. They endeavor to create financial, intellectual, social, cultural, emotional, spiritual, physical and ecological wealth for all their stakeholders. Conscious businesses will help evolve our world so that billions of people can flourish, leading lives infused with passion, purpose, love and creativity; a world of freedom, harmony, prosperity and compassion. We believe we can build a better world through business. Our business. Your business. Any business or organization whose leaders believe that the highest purpose of any organization should be to provide meaning and fulfillment to those who dedicate their talent to its goals. After all, a job should offer more than a paycheck. It should offer an empowering environment in which your team members have the opportunity to discover and develop their gifts and talents and apply them toward a shared vision. When that happens, both the business and its people flourish.